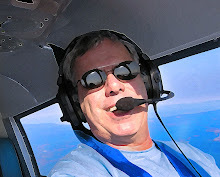 I am now a couple of weeks into my experiment to see if the Periscope Live Broadcasting app can be a game changer for the GA community to reach out to the public about the joys of flying. What I've been asking is this: With the ease of use and functionality of this app (and also Meerkat, a similar app), it seems like a great way for pilots to do "live broadcasts" of their aviation world, answering questions from the public about anything in the realm of flying, flight training, airplane ownership...anything. You just start a broadcast, headline it "I'm a Pilot - Ask me anything about flying or airplanes" and the people will come. In theory, this is brilliant...but in reality, there is a long ways to go before this platform really serves this purpose, in my opinion. In my first test of what I am calling an #avscope on Periscope, I reached 149 broadcast visitors for a session conducted in early evening on a weeknight. This past Saturday afternoon, I did a second #avscope session, but attracted only 38 viewers, so it appears people were just out doing things and were not on Periscope. The session was decent though, with several questions being asked about costs and safety of flying, so I am still interested in seeing where this will go. 1. As far as I can tell, there is no search option to find only broadcasts about a particular topic. You open the app, and it feeds you the latest broadcasts, which run the wide gamut from teenage girls in their bedrooms looking for attention to dudes vaping after work, and yes, what's in the freakin' fridge. Hopefully the "fridge" broadcasts will go away soon. There are plenty of very cool broadcasts that pop into the app's top 4 positions from throughout the world, like the guy broadcasting while driving some sort of exotic sports car through Rome, Italy, or someone broadcasting the setting sun in Hawaii. But if you want to try and find anything aviation-related, so far, I cannot find a way to just search for those broadcasts. So our #avscope broadcasts are thrown in with sleeping cats, drunk girls in Uzbekistan, or people walking home from work. 2. The app does not seem to have any international filtering or way to chose a default language or geo region, so you get all broadcasts from all users throughout the world. Great if you want to watch girls in Uzbekistan down shots before dancing on a table, but on my feed, sometimes it seems like over 50% of the broadcasts are in a foreign language. So even if they ARE about aviation, since I do not read Arabic, I will have no idea what they are trying to show me. 3. So far, Periscope is a fad, and people are trying to figure out what to do with it. 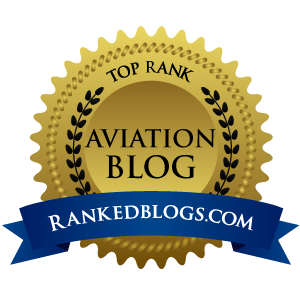 As it matures, people will find ways to make this great app useful for many things (like reaching out to the public about aviation) and I look forward to future releases and updates. But the app is so far out of the mainstream right now, even savvy marketers have no clue what Periscope is, what it does, or what it CAN do. This will change with time because it really is an awesome way for marketers to do quick "behind-the scenes" broadcasts of events to push their brand and get their stuff out there. Yesterday, I watched a broadcast of a Formula One race team prepping for the Chinese Grand Prix from inside their shop, it had me mesmerized...very cool look at what goes on "behind the curtain" and a great use of Periscope. 4. The aviation community is not ready for Periscope yet. I have seen a few people using the app for aviation purposes, but very few of us are thinking about using it as a serious GA advocacy tool...yet. This is because most of the aviation community is averse to social media, and edgy social platforms like Periscope are simply too far out for someone who doesn't even understand Twitter. I will continue to work on this experiment as Oshkosh draws closer, and hope that during the aviation summer family reunion in Wisconsin, I'll help convince a few of the #avgeeks I hang with to do some #avscope broadcasts while at Airventure.